Buy real gold, not paper gold. What is paper gold? Paper gold is a substitute for real gold. Some institutions, usually banks and Asian Banks in particular, offer an alternative to owning real gold on the basis that it is easy, convenient, and safe. In fact it is usually very unsafe and not unlike buying a gold exchange traded fund (gold etf) in which one does not actually own gold at all. Paper gold is simply a piece of paper that represents the gold value with no guarantees. It does not mean you own gold but are simply a creditor of the institution who issued the piece of paper (often a nice attractive certificate). This applies to pool accounts, future accounts, the various gold exchange traded funds, Gold ‘passbook’ accounts and a myriad of other names for basically the same thing. A piece of paper with the word gold written on it. When it comes to buying gold, there is nothing like the real McCoy. 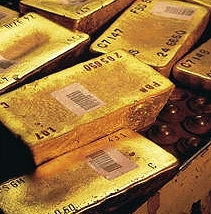 Paper gold, in fact, is considered by many analysts to be a tool used by banks to ‘manipulate’ the gold price, since it is easier to buy and sell paper gold with the press of a button than to actually buy and sell real gold. Gold bullion cannot go bankrupt. Gold bullion retains its value regardless of the gold price. Gold bullion is valued all around the world. Gold Bullion does not depend on any other factors to retain its value. I.e. it cannot be manipulated by buying and selling it. Unlike paper gold, real gold bullion can be redeemed. Paper gold has the real potential to be subject to bankruptcy. Gold is independent of states, currencies, productivity and credit worthiness. Some economic or political influences may affect the price of gold, but its value and its acceptability remains independent of them. Experts advise private investors to hold between 5 and 10% of their wealth in the long term in precious metals. Experience has shown that the regular purchase of gold coins helps to protect the smaller investor against price fluctuations. Gold has always been prized as precious and valuable. Over the years gold has proven itself to be one of the most reliable stores of value. Despite possible price fluctuations on the open market, the value of gold has remained remarkably stable and repeatedly demonstrates the tendency to rise. Gold is traded around the globe 24 hours a day. With gold you possess an international currency which can always be sold around the world at any time. Trading in paper gold is also considered a non protected deposit. Should the bank go bankrupt (and they do) you can loose all your investment. For example the Hang Seng Bank offers a paper gold account but this type of account is NOT protected by the Deposit Protection Scheme in Hong Kong. Further more, repayment under the Accounts are NOT guaranteed by the Hong Kong SAR Government's Exchange Fund. In fact, when it comes down to it, there is no substitute at all for gold and it is highly recommended that, if you want to buy gold, you buy real gold, not paper gold.